These are so cute! Quick to make, and free too. 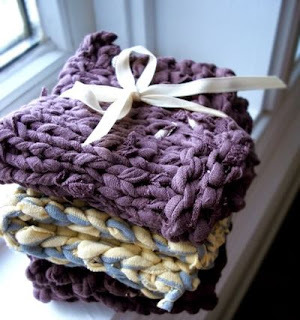 They were knitted with yarn that was made from strips of old t-shirts. I saw them on Dollarstorecrafts.com, but they originated on crafster.org. The link is below.